On Tuesday afternoon we found ourselves in heart of Cyberabad (yes, that really is its name), the bustling high-tech section of the Hyderabad area where the pace of construction was almost dizzying: everywhere we looked cranes dotted the skyline and huge modern buildings housed the likes of major firms like Google, Microsoft and Tata Consultancy Services. They also housed the huge numbers of technology employees who work in this area. 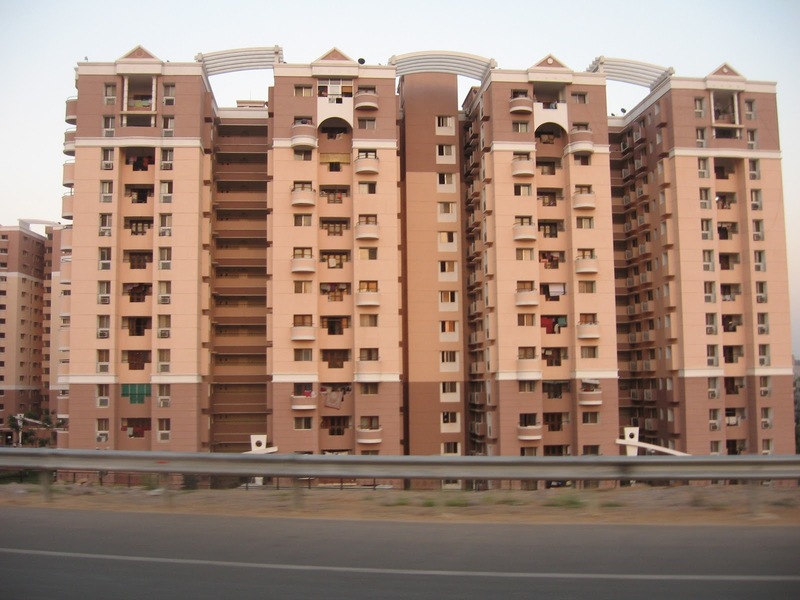 For more on the story and look of Cyberabad, click on this site: Cyberabad. 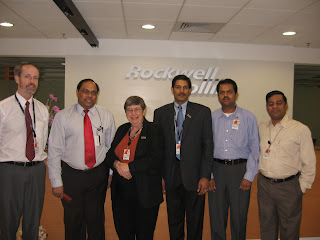 Our destination was the ultra modern building where Rockwell Collins (RC) has its India headquarters. Typical of what we have found in a culture which has been victimized by terrorism, we needed to pass through several layers of security, including having sent copies of our passports and visas to them the day before. But when all of that was finished, we were ushered into a completely modern office space housing more than 280 high-tech workers, up from just 29 two years ago. 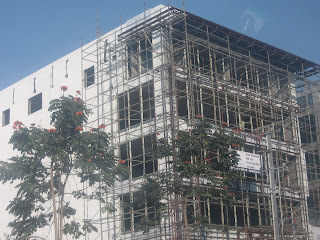 And the expansion, we learned, is barely halfway to the 500 workers expected by October of this year. 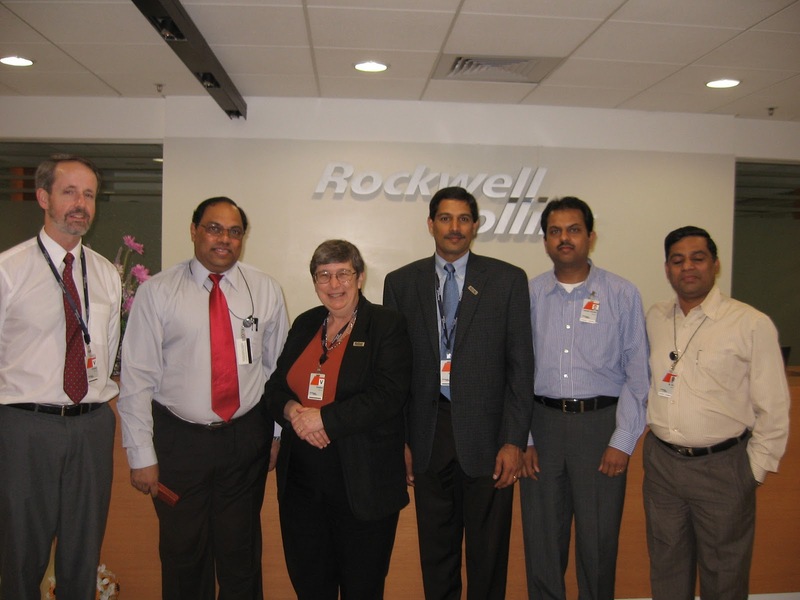 Ram Prasad, Director of Rockwell Collins India, shared with us the vision that RC has for its India division. Rapid growth is expected in Asia (India is projected to pass China in the next decade or so to become the most populous nation in the world), and RC intends to make use of the highly educated and young work force which already characterizes parts of India. 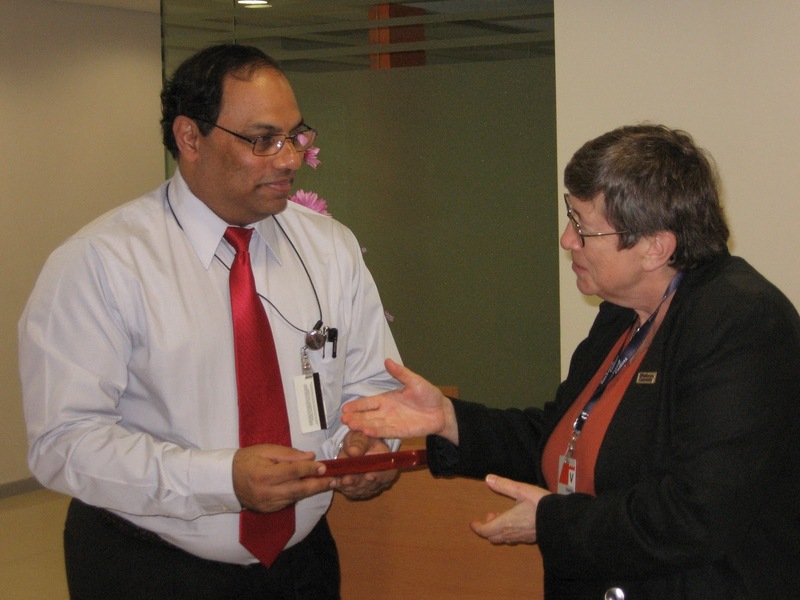 We discussed possible connections with St. Ambrose and the kind of programs we might offer, and then we met with Mr. MKR (Ram) Prasad, Managing Director whom Arun knew through one of our DBA students in Cedar Rapids where RC has a presence. Mr. Sastish Kuman Sastry and Mr. N.N. Rao, managers of major tech areas for the company, explained the structure and staffing of the facility. We also made a presentation on St. Ambrose in general, and the College of Business in particular. Our hours with them passed quickly, and we left with some ideas for future collaborations. We have commented on traffic during our stay in India -- the speed, the density, and the autorickshaws. 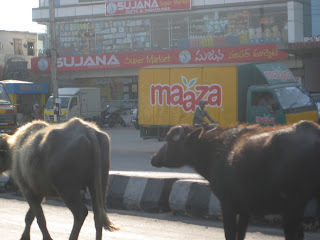 Yet on our way out of Cyberabad we had yet another of those experiences that seems unique to India: the clash of centuries in the space of a few blocks. 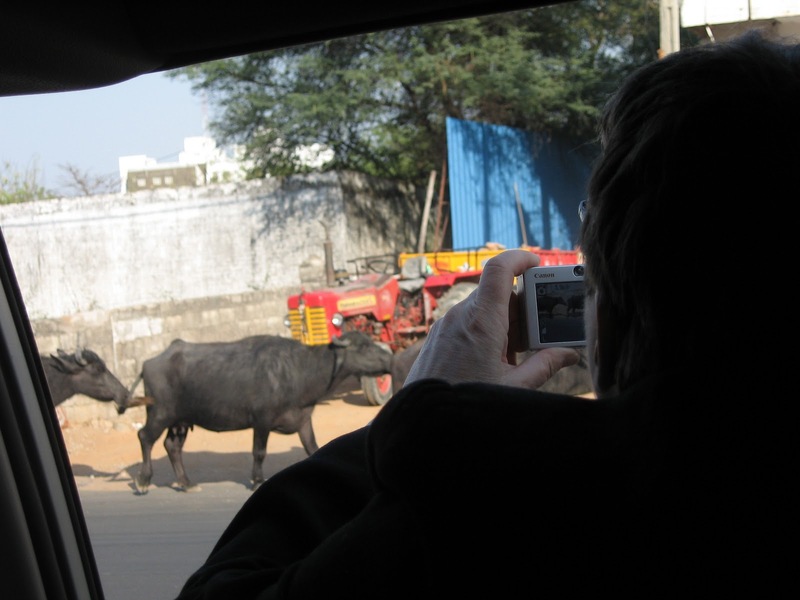 While we have discovered much common ground in our many visits with folks in India, we still find ourselves gauging the familiar against our everyday experience in Davenport. Our "normal" is neither right or wrong, but it is put to the test on a daily basis. 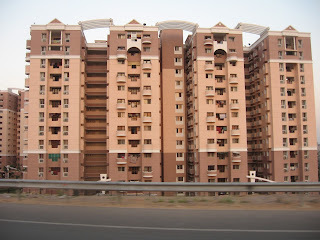 I am a friend of Mr. MKR Prasad How do I contact him.